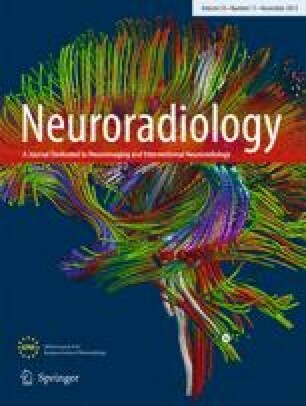 Three recent, simultaneous publications report the neutral results of three randomized studies (SYNTHESIS Expansion, Interventional Management of Stroke (IMS) III, and Mechanical Retrieval and Recanalization of Stroke Clots Using Embolectomy (MR RESCUE)) comparing IV thrombolysis therapy or standard care (MR RESCUE) to the endovascular treatment (EVT) of acute ischemic stroke (AIS) [1, 2, 3]. The results of these three trials might lead to the erroneous conclusion that endovascular treatment has no or little place in the management of AIS. However, careful analysis of the IMS III, SYNTHESIS, and MR RESCUE studies is mandatory prior to assessment of the value of EVT of AIS. Also, the limits of the current and future trials should be outlined. 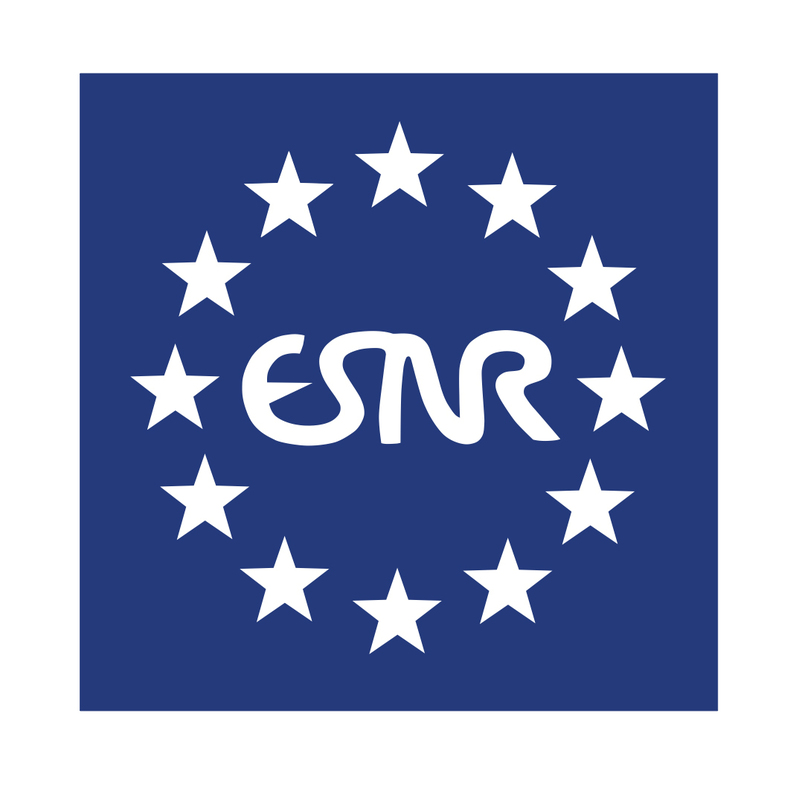 The European Society of Minimally Invasive Neurological Therapy (ESMINT) and European Society of Neuroradiology (ESNR) represent the interventional neuroradiology community in Europe and have engaged in the definition of rules regarding trials evaluating the EVT of AIS [4, 5]. It is clearly their role to provide a precise analysis of recent and future trials. In the last 20 years, treatment of AIS has evolved to include neuroprotection, IV thrombolysis (IVT), and endovascular treatment. Despite numerous studies of a very large number of drugs, none of them have demonstrated efficacy in the protection of ischemic brain . Several randomized studies of IV thrombolysis (IVT) were negative before it was first reported that IVT therapy administered within the first 3 h after stroke onset had positive clinical effects [7, 8, 9, 10, 11]. IVT therapy was approved by the FDA in 1995. This result was subsequently confirmed by other studies, leading to an extension of the therapeutic window to 4.5 h [12, 13, 14, 15]. The EVT of AIS has rapidly evolved from intra-arterial (IA) chemical thrombolysis to mechanical thrombectomy. IA chemical thrombolysis was evaluated in several randomized trials showing its efficacy and safety (versus placebo and not versus IV recombinant tissue plasminogen activator (IV rtPA) as it was not authorized at the time of these trials) [16, 17, 18, 19, 20]. The rationale for IA chemical thrombolysis was to infuse the thrombolytic drug as close as possible to the clot (proximal, inside, or distal to the clot), in order to increase the local concentration of the drug, while simultaneously limiting its systemic concentration. The next step in EVT of AIS was mechanical thrombectomy. Originally, this was performed with no specific tools (injection of saline within the clot, disruption of the clot with a microguidewire, “angioplasty” of the clot with remodeling balloons). Subsequently, dedicated first-generation devices, such as the MERCI and Penumbra devices, were developed to catch or aspirate the clot [21, 22, 23]. They were not compared to IV rTPA in randomized controlled trials (RCTs). Second-generation devices (e.g., “stentrievers” such as Solitaire™) were developed to promptly restore blood flow through retrieval of the clot and were initially evaluated in a small, single center series [24, 25, 26]. There has been no RCT that compared EVT to IV rTPA for the management of AIS. IMS III, SYNTHESIS, and MR RESCUE are the first RCTs comparing endovascular treatment to IV rTPA or standard care for the management of AIS. The teams who have conducted these trials have to be congratulated, as this has required considerable effort. IMS III is an international, phase 3, randomized, open-label clinical trial with a blinded outcome, comparing a combined approach of IV rTPA followed by endovascular treatment with standard IV rTPA treatment. The goal was to include 900 patients (300 in IV rTPA group and 600 in EVT group) in order to detect a 10 % absolute risk reduction for disability and death. IV rTPA (standard dose of IV rTPA, 0.9 mg per kilogram) was started within 3 h after symptom onset in both arms. Patients in the EVT group underwent angiography as soon as possible, and those with a treatable occlusion received endovascular treatment with an approach chosen by the site interventionalist (i.e., thrombectomy with the MERCI retriever (Concentric Medical), Penumbra system (Penumbra), or endovascular delivery of rTPA by means of the MicroSonic SV infusion system (EKOS) or a standard microcatheter). The Solitaire™ FR stent-retriever was introduced in the late stage of the trial after approval by the FDA. From August 2006 to April 2012, 656 participants in 58 centers underwent randomization (434 participants to endovascular therapy and 222 to IV rTPA alone). The trial was stopped early due to futility, according to pre-specified rules. The proportion of patients with good [Rankin] outcome was slightly, but not significantly, higher in the endovascular group (40.8 % in the endovascular therapy arm and 38.7 % in the IV rTPA arm). There was also no significant difference in mortality at 90 days between the two groups (19.1 % in the endovascular therapy group and 21.6 % in the IV rtPA group), as well as in the rate of symptomatic intracerebral hemorrhage within 30 h after initiation of rTPA (6.2 % in the endovascular therapy group and 5.9 % in the rTPA group). IMS III represents a very strong selection of patients as it is difficult to imagine that only two patients per year were referred to the participating centers for treatment of AIS. Enrollment of patients in IMS III was probably not consecutive with some patients not included in the trial for compassionate use of endovascular treatment. Unfortunately, no information is given regarding the number of patients directly treated with EVT during the study period in the participating centers. As the number of patients/center is very low, it is clear that it is difficult for interventionalists to develop expertise in the EVT. In addition, it is probable that lack of routines for EVT delayed the management considerably. During the long inclusion period, imaging and endovascular treatment modalities underwent a tremendous evolution, and utilization of the new technology was only partially implemented in the IMS III protocol (see below). EVT may be effective only in patients having major arterial occlusion at the level of the circle of Willis (internal carotid artery, middle cerebral artery, and basilar artery). At the beginning of the trial, pre-therapeutic imaging was mostly plain CT and no CT angiogram (CTA) was performed. CTA was introduced in the mid-course of the trial and only 306/656 participants (46.6 %) had preoperative CTA. CTA was not used for selection of patients and National Institutes of Health Stroke Scale (NIHSS) score was used to identify patients with a score of 10 or more, who had greater than 80 % likelihood of major arterial occlusion. This methodology is clearly very poor. Of the patients with baseline CTA, 24/306 patients (7.8 %) had no arterial occlusion, with 20 of these patients randomized to the endovascular group and 4 to the IV rTPA group. Additionally, 89/423 patients (21.0 %) who had received angiograms were allocated to the endovascular group and ultimately did not have endovascular treatment. It means that due to the protocol design, some patients were exposed to the risks of angiography without any benefits in terms of treatment. According to IMS III protocol (changed in 2011), these patients received an IV rTPA dose less than the standard dose, which could contribute to the negative results of the trial. Clearly, the inclusion of patients without a major arterial occlusion in a randomized trial dealing with endovascular recanalization is a major weakness of the IMS III trial. Interestingly, in patients for whom CTAs were obtained, the rate of partial or complete recanalization was different in the endovascular therapy and IV rTPA groups (respectively, 81 and 35 % for an occlusion in the internal carotid artery, 86 and 68 % for an M1 occlusion, and 88 and 77 % for an M2 occlusion). In terms of recanalization, mechanical thrombectomy performed better than IV rTPA alone for all locations, and as demonstrated in IMS III, the proportion of patients with good clinical outcome increased with greater reperfusion. Unfortunately the 90-day clinical outcome in patients with CTA-confirmed occlusion at baseline is not analyzed and we don't know if EVT performed better than in rTPA alone in this sub-group of patients. An important limitation of the IMS III study is that the modalities of endovascular treatment were very heterogeneous and some became obsolete during the course of the trial: 164/434 patients (37.8 %) were treated by IA rTPA administration through a standard or EKOS microcatheter, 149/434 (34.3 %) by mechanical thrombectomy with first-generation devices (MERCI or Penumbra), and only 5/434 (1.2 %) by mechanical thrombectomy with a second-generation device, such as the Solitaire™ FR device. As the SWIFT and TREVO2 trial have clearly demonstrated, the second-generation devices are more efficacious than first-generation devices in terms of both recanalization and clinical outcome (see below) [27, 28]. Finally, time from stroke onset to initiation of IV rTPA (mean) was 121 min in the IV rTPA group alone and 122 min in the endovascular therapy group. In the endovascular therapy group, time from onset to groin puncture and to IA therapy were (means) 208 mn and 249 min respectively. The endovascular treatment started at 86 mn and terminated at 127 mn after onset of IV rTPA administration. The delay before EVT is an important factor that certainly could affect outcome. The reduction of these delays is mandatory in future trials. SYNTHESIS is an Italian, randomized, multicenter clinical trial with a blinded endpoint, comparing standard IV rTPA treatment (initiated within 4.5 h after symptom onset) to endovascular treatment (within 6 h after symptom onset). All patients underwent randomization within 4.5 h of symptom onset. Patients who were assigned to the endovascular treatment group did not receive IV rTPA. Several endovascular treatments were authorized in the trial including IA administration of rTPA (maximum dose of 0.9 mg per kilogram of body weight), or mechanical thrombectomy, including the use of a microguidewire to disintegrate the clot or of systems to capture, crush or aspirate the clot. Again, the demonstration of vessel occlusion was not a precondition for inclusion in this trial. From February 2008 to April 2012 (51 months), 362 patients underwent randomization (181 to endovascular treatment and 181 to IV rTPA) in 24 centers. In the endovascular group, 15 patients did not receive treatment due to clinical improvement, lack of evidence of occlusion, or other causes. 165 patients received endovascular treatment (without an equipment breakdown requiring interruption). Endovascular treatment with IA rTPA and fragmentation of the thrombus with a guidewire was performed in 109/165 patients (66.1 %). A device was used in 56/165 patients (33.9 %). These devices included first-generation devices (MERCI, Concentric and Penumbra, Penumbra) in 14/165 patients (8.5 %) and second-generation devices (Solitaire™, Covidien/ev3 or Trevo, Concentric) in 23/165 patients (13.9 %). The primary endpoint (disability-free survival at 90 days, modified Rankin Scale (mRS) 0 or 1) was similar in both groups (30.4 % in the endovascular group and 34.8 % in the IV rTPA group). Symptomatic intracranial hemorrhage within 7 days occurred in 6 % of patients in both groups. Additionally, death at 90 days was not significantly different between the two groups (14.4 % in the endovascular group and 9.9 % in the IV rTPA group). Even if slightly higher, the number of patients included per year in the centers was very low (3.5 patients/year/center) with the same consequences than in IMS III (see above). As in IMS III, advanced CT or MR modalities were not used to visualize vessel occlusion and the number of patients without arterial occlusion is not reported. See above. Also, endovascular treatment modalities were quite heterogeneous and not infrequently obsolete (IA rTPA combined with guidewire disintegration of the clot in 66.1 %, EVT with first-generation devices in 8.5 % and second-generation devices in only 13.9 %). Patients with an NIHSS score as low as 2 were included. They have a very high probability of having a good recovery at 3 months regardless of treatment given. IV rTPA was not given in the endovascular group. Synthesis was, in fact, comparing IV rTPA treatment to isolated endovascular treatment and not to combined IV rTPA treatment and mechanical thrombectomy. As a consequence, the endovascular group received treatment 1 h later than the IV rTPA group, which may have impact on the relative equivalence of endovascular treatment and IV rTPA treatment. The recanalization rate is not reported and analyzed. The MR RESCUE trial was a small phase 2b, randomized, controlled, open-label, multicenter trial conducted at 22 sites in North America. Patients between the ages of 18 and 85 years with NIHSS scores of 6 to 29 who had a large-vessel, anterior circulation ischemic stroke were randomly assigned within 8 h after the onset of symptoms to undergo either mechanical embolectomy (MERCI retriever or Penumbra System) or to undergo undefined standard medical care. All patients underwent pretreatment multimodal CT or MRI of the brain, which permitted stratification according to the presence of a favorable penumbral pattern versus a non-penumbral pattern. Among 118 eligible patients (recruited over 8 years), 64 were assigned to the embolectomy group (the patients were treated with US-authorized devices, MERCI at the beginning of the trial, then Penumbra) and 54 were assigned to the standard care group (including treatment with IV rTPA). In total, 68/118 patients (57.6 %) were found to have a favorable penumbral pattern following pretreatment imaging. The 118 patients were classified into four groups: embolectomy/penumbral (34 patients); standard care/penumbral (34); embolectomy/non-penumbral (30); and standard care/non-penumbral (20). Statistical analysis testing to determine whether there was an interaction between treatment assignment and penumbral pattern determined no significance. The number of patients with good outcome at 90 days (mRS 0 to 2) was not significantly different between the groups (embolectomy/penumbral = 21 %; standard care/penumbral = 26 %; embolectomy/non-penumbral = 17 %; standard care/non-penumbral = 10 %; p = 0.48). Death rates also did not significantly differ (embolectomy/penumbral = 18 %; standard care/penumbral = 21 %; embolectomy/non-penumbral = 20 %; standard care/non-penumbral = 30 %; p = 0.75). Interestingly, reperfusion (assessed on day 7 with the use of perfusion MRI) and partial or complete revascularization (defined as a TICI score of 2a to 3) were not significantly different among groups. Unlike the IMS III and SYNTHESIS studies, pretreatment evaluation was more precise, with CTA or magnetic resonance angiogram (MRA) used to depict large-vessel proximal anterior circulation occlusion, and multimodal CT or MRI of the brain was used to evaluate penumbral status. As in SYNTHESIS and IMS III, first-generation thrombectomy devices were used. As in SYNTHESIS, IV rTPA was not given in the endovascular group. Additionally, it is clear from this trial that the management and use of penumbral patterns was difficult. Despite the development of specific models, the study software processed only 58 % of the cases successfully in real time. Additionally, final pattern assignment changed after core laboratory post-processing in an alarmingly high percentage of cases (8 %). Unfortunately, it is difficult to know if imaging of penumbra is, at present, a reliable tool for the pretreatment evaluation of AIS patients. Also, the use of two different imaging modalities (CT and MR) to evaluate penumbra may complicate matters further. It should also be noted that the time to enrollment for all patients in this study, regardless of assigned group, was relatively long (from 5.2 to 5.8 h). Heterogeneity of the endovascular techniques used with most of them now being obsolete. Inappropriate preoperative imaging including absence of CTA or MRA to detect an occlusion of a major arterial trunk (IMS III and SYNTHESIS). Inclusion of patients with very low NIHSS (SYNTHESIS). Long period of inclusion (all studies). No evaluation of the salvageable brain with perfusion CT or MR (IMS III and SYNTHESIS). IA administration of fibrinolytics, as well as treatment with first-generation thrombectomy devices, has been replaced with stent-based thrombectomy devices. The clinical impact of the use of these novel devices has been impressively illustrated by the recent Solitaire™ with the intention for thrombectomy (SWIFT) trial which directly compared mechanical thrombectomy with MERCI (first generation) and Solitaire™ (second generation) devices in a randomized trial. In a global population of 113 patients (MERCI = 53, Solitaire™ = 58), successful recanalization without symptomatic intracranial hemorrhage (primary endpoint) was achieved in 61 % of patients in the Solitaire™ group and 24 % or patients in the MERCI group (p <0.0001) . Outcomes were significantly better for patients treated with the Solitaire™ device. Good neurological outcome at 90 days was achieved in 58 % of patients in the Solitaire™ group and 33 % in the MERCI group (p = 0.0001). Mortality at 90 days was 44 % in the MERCI group and 18 % in the Solitaire™ group (p = 0.0001). Similar results were reported for another second-generation device, Trevo, in the Trevo 2 trial, confirming that the present generation mechanical thrombectomy devices perform better than their first-generation counterparts . If the superiority of second-generation devices was clearly demonstrated in SWIFT and TREVO 2, the superiority of mechanical thrombectomy with second-generation devices versus IV rTPA is still unproven. Moreover, it should be outlined that the rate of good clinical at 90 days is not different in the endovascular group of IMS III (40.8 %) and in the Solitaire arm of SWIFT (37 %) as well as 90-day mortality rate (19.1 % in the endovascular arm of IMS III and 18 % in the Solitaire arm of SWIFT). The low number of patients/year/center in the three trials probably indicates that all candidates for an IA treatment were not included in the trials and some of them may have been subjected to EVT outside the trial (compassionate use). Such an inclusion bias would severely affect the results of the trials, i.e., if patients likely to benefit from EVT had this treatment without being randomized. In conclusion, IMS III, SYNTHESIS, and MR RESCUE demonstrate that endovascular treatment is not appropriate for all patients with AIS. In addition, EVT is a heterogeneous group of very different techniques that do not have the same efficacy and should not be lumped together. One very consistent and highly important finding from the IMS III, SYNTHESIS, and MR RESCUE trials is that endovascular treatment is as safe as IV rTPA, and there are no safety issues that should deter the evaluation of the thrombectomy approach in more refined trials. Evidence from trials evaluating the second-generation mechanical thrombectomy devices shows their superiority to the first-generation devices, indicating that the technique and the devices are evolving and becoming more effective. Future trials must focus on determining which treatments are the most efficacious and which patients will benefit from a particular treatment paradigm. Participation of both patients and physicians in randomized clinical trials is essential to provide rapid answers to this very important clinical problem. These studies clearly shows that the selection of patients (clinical status evaluated with NIHSS, initial extension of ischemic lesions evaluated with ASPECT score, arterial occlusion depicted by CTA or MRA, evaluation of the salvageable brain evaluated by methods that have still to be precisely evaluated) and the therapeutic methods evaluated are key elements that must be addressed in the design of future studies. Patients with very low or high NIHSS have to be excluded as well as patients without arterial occlusion detected with CTA or MRA. It would be probably more productive to design studies to evaluate a single endovascular approach rather than evaluating a wide spectrum of endovascular approaches in the same study (e.g., IA chemical thrombolysis, mechanical thrombectomy performed in different ways or with very different generation devices). Also, comparison of the endovascular treatment alone to that of IV rTPA alone (as in SYNTHESIS and MR RESCUE) demands a highly effective local organization, in order to not lose time before EVT can be initiated. The combined approach (endovascular treatment + IV rTPA) allows the physician to start treatment early and to synergize the efficacy of chemical and mechanical thrombolysis (if there is a synergy). Selection of the participating centers in the future RCTs in terms of physician competency and organization of the centers is certainly important to reduce the delays in the performance of EVT. Finally, it is crucial that interventional neuroradiologists dealing with stroke participate to well-designed trials with new thrombectomy devices and that, in each participating center, all patients meeting the inclusion criteria are included in the trial (consecutive enrolment). If a pre-selection is applied by the center before randomization, the risk is that certain patients eligible for IA treatment are not randomized for “compassionate” reasons. This would create a serious inclusion bias and affect the results of the trial. As endovascular treatment has yet not proven its superiority to IV rTPA in a RCT, physicians cannot argue for treating patients outside of the trial. LP consults for Codman, Covidien/EV3, Microvention, Penumbra and Sequent. MS consults for Rapid Medical, Neuravi, Covidien/ev3 and has a research agreement with Philips Healthcare. MB consults for Codman. PW has research activity funded from Acandis, Codman, Covidien/ev3 and Microvention, consults for Microvention and has speaker bureau activities for Codman and Covidien/ev3. JG consults for Covidien/ev3. JF consults for Codman and Stryker and has speaker bureau activities for Covidien/ev3. CC consults for Codman, Covidien/ev3, Microvention, Sequent, and Stryker.